Welcome to Feathered Nest Soft Furnishings. We provide soft furnishings for homes and businesses across Dorset and the UK. Soft furnishings enhance the beauty of a home, providing a pleasant and comfortable atmosphere. 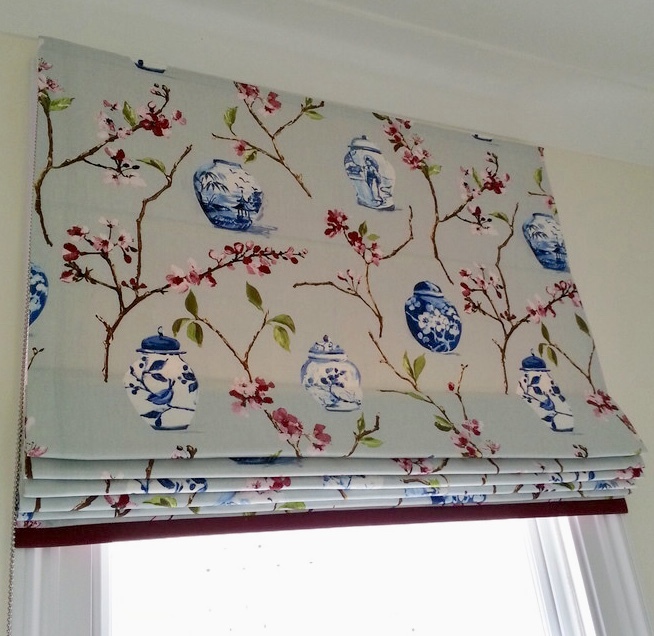 Here at Feathered Nest we work with you to create your perfect home or business environment through the use of Fabrics, Blinds, Curtains, Cushions and Upholstery. Selecting your perfect fabric is key, so we hold an extensive range of fabric sample books from all major suppliers in our shop for perusal at your leisure. We encourage our customers to take these books home to see how fabrics react to lighting and colours in a room. We measure and manufacturer all our blinds to your exact requirements, ensuring they’re the perfect fit for the windows they’ll be fitted to. The combination of your chosen fabric and the precise fit creates an impact that no off-the-shelf blinds could ever create. 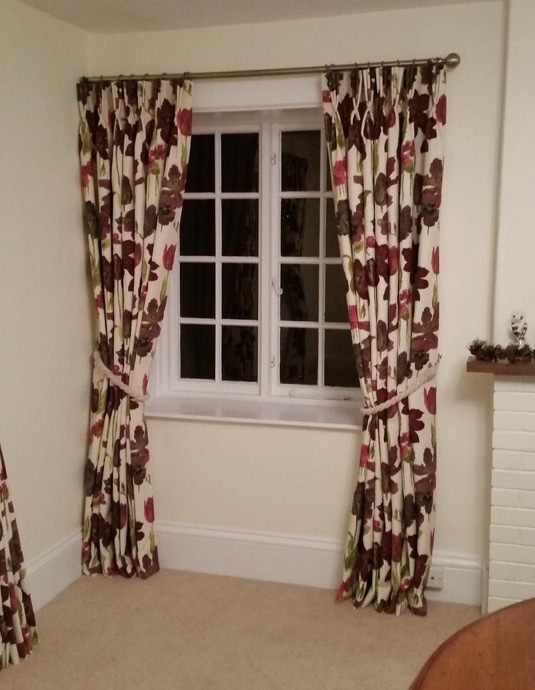 Individually measured and tailored to fit each window giving a stylish and comfortable environment to your room. Each detail can be customised to suit your desires, from the fabric, to the poles, tracks and finials. Feathered Nest is local business based in Dorset, owned and managed by Helen Antell who has over 25 years experience working with soft furnishings. 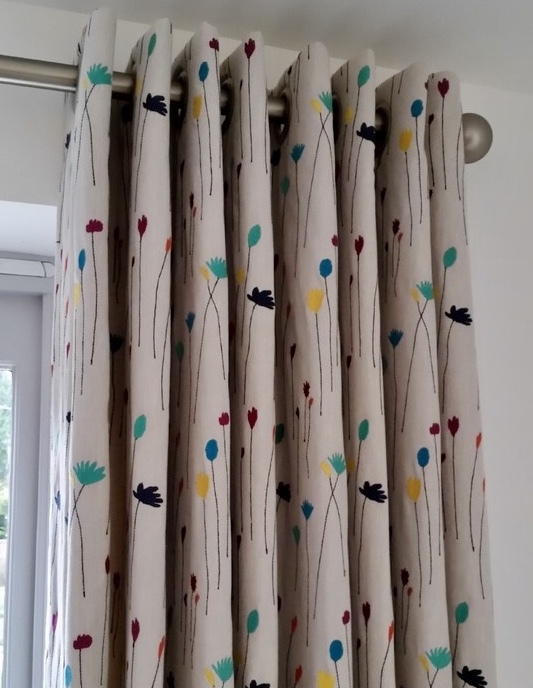 This experience has developed from a love of sewing at a young age, to attending the School of Art and Design at Bournemouth University, to running her own business which has become the Feathered Nest Soft Furnishings many know and love today. All projects are personally cared for and managed by Helen, ensuring attention is paid to even the smallest details, working with customers to make their ideas become a reality, or making suggestions for those unsure of the direction to take. Please don’t hesitate to get in touch with any projects or ideas you’d like to discuss. Big or small, we’re here to help. Contact us using the details below, or why not come and visit us at our shop in Shillingstone, Dorset. Copyright Feathered Nest. Site by JRXweb.